Confessions of a Comic Book Guy is a weekly column by Steve Bennett of Super-Fly Comics and Games in Yellow Springs, Ohio. This week, Bennett weighs in on the Captain America Secret Empire storyline, the new movie based on ‘Superman Vs. the KKK,’ and possible plans for a Star-Blossom comic from Gail Simone and Colleen Doran. 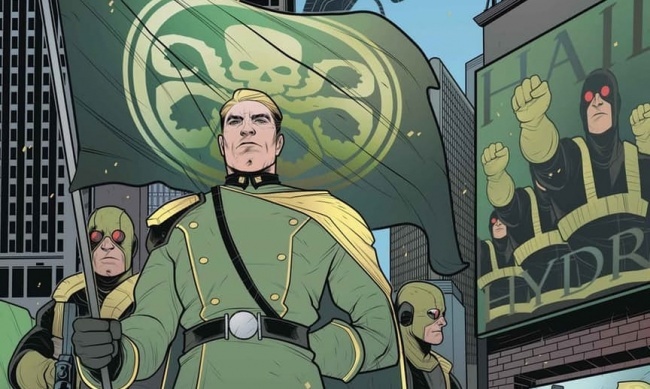 I’ve got to confess, I completely underestimated the online outrage over the whole Secret Empire Captain America Nazi/Hydra thing. I wasn’t exactly surprised to find articles with headlines like “Boycotting Marvel Isn’t Enough to Stop Nazi Cap”, “Captain is Evil, Not Marvel Comics”, (and my favorite), “Captain America Has Become Marvel’s Own Darth Vader.” Though I was surprised by the sheer volume of them, as well by the level of some people’s unhappiness with the storyline. Recent history has shown that the publisher tends to treat this kind of negative reaction as inexpensive free publicity, and if their base get upset over some development in one of their upcoming comics, well, it’s better than indifference. If some of them end up “rage reading” the comic, well, a sale is a sale. Other times people at Marvel would actually chastise readers for caring too much about their comics, like back in 2006 when then Editor In Chief Joe Quesada complained some people were treating “comic characters like they are three-dimensional, flesh-and-blood people” (see “Confessions of a Comic Book Guy--Excuse Us For Caring”). 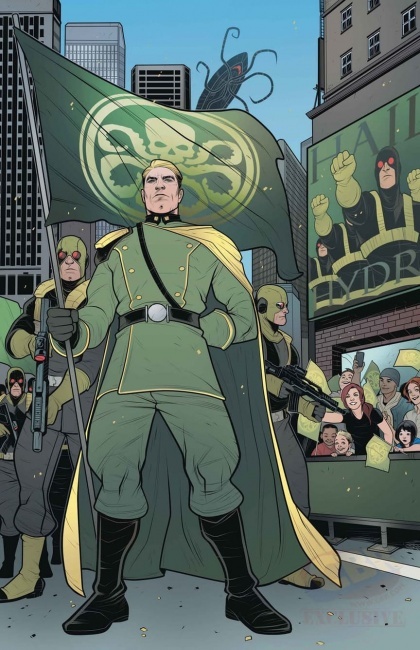 So, I was surprised when Marvel officially commented on the situation via an ABC News story headlined “Marvel on Captain America’s turn to Hydra: ‘We hear your concerns’”. It contained a statement by an unnamed person that "At Marvel, we want to assure all of our fans that we hear your concerns about aligning Captain America with Hydra and we politely ask you to allow the story to unfold before coming to any conclusion." I probably underestimated the outrage over Secret Empire because I’ve been doing my best to ignore the whole thing. While I don’t like the premise, not one little bit, understanding it was a temporary aberration that would be made right by Marvel Legacy in the Fall helped. It’s still been hard seeing Captain America being a fascist instead of fighting them. Which is, undoubtedly, why I like the next story as much as I do. I’m a fan of a lot of geeky things other than comic books; I’m particularly fond of old movies, comic strips and radio shows, especially when they have some connection to comic books… So, I was both stunned and pleased when I saw the story “Superman Vs. The KKK is on its way to theaters” on the AV Club website. There’s a movie in the works based on the young adult non-fiction book Superman Vs. 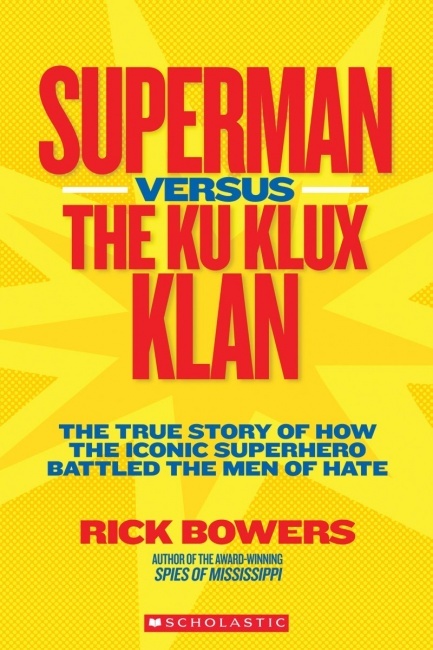 The Ku Klux Klan: The True Story of How the Iconic Superhero Battled the Men of Hate by Rick Bowers about a famous (to fans of old radio anyway) 1946 sequence of the long-running The Adventures of Superman radio show where Superman faced the hate group “The Clan of The Fiery Cross” based on the KKK*. Both the sponsor, the Kellogg's Company, and the network it ran on, Mutual, went along with the storyline in spite of their worries it would affect the ratings. And it did; the serial got the highest ratings in the history of the series. The story that caught most of my interest last week was reported on Bleeding Cool “Gail Simone and Colleen Doran Agree To Start Work Tomorrow On Star-Blossom Comics; Your Move, DC”. 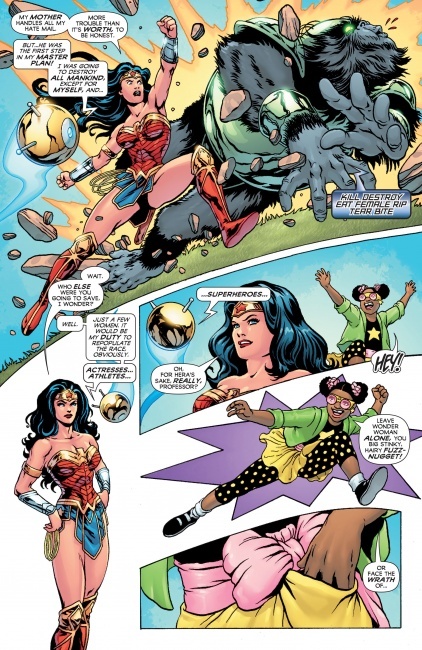 In case you missed it, among the contents of the 2016 Wonder Woman 75th Anniversary Special was a wonderful story by Simone and Doran where Princess Diana defeated the giant ape Titano mostly with kindness but also with the help of a little girl named Peony McGill A.K.A. Star-Blossom. The story shares tweets sent by both Simone and Doran which establishes both were ready to create more Star-Blossom adventures, but it was up to DC to make it happen. DC, make it happen. Please. *This wasn’t the only time The Adventures of Superman radio show dealt with “relevant” issues, There was also a serial about Unity House, an interfaith community center under attack by vigilantes trying to destroy it, and at one point Superman tells a group of kids: “Remember this as long as you live: Whenever you meet up with anyone who is trying to cause trouble between people - anyone who tries to tell you that a man can't be a good citizen because he is a Catholic or a Jew, a Protestant or what you will - you can be sure he's a rotten citizen himself and an inhuman being. Don't ever forget that!"